Tergiverser | One quality, the finest. Tergiverser (tare-zhe-vare-say) means “to equivocate” or hesitate among choices. This is a terrific time of the year for those prone to indecision. Fastachi, a gourmet chocolate, nut, and candy emporium is just the sort of place where you might need to hesitate among choices (83 Charles Street, Boston). 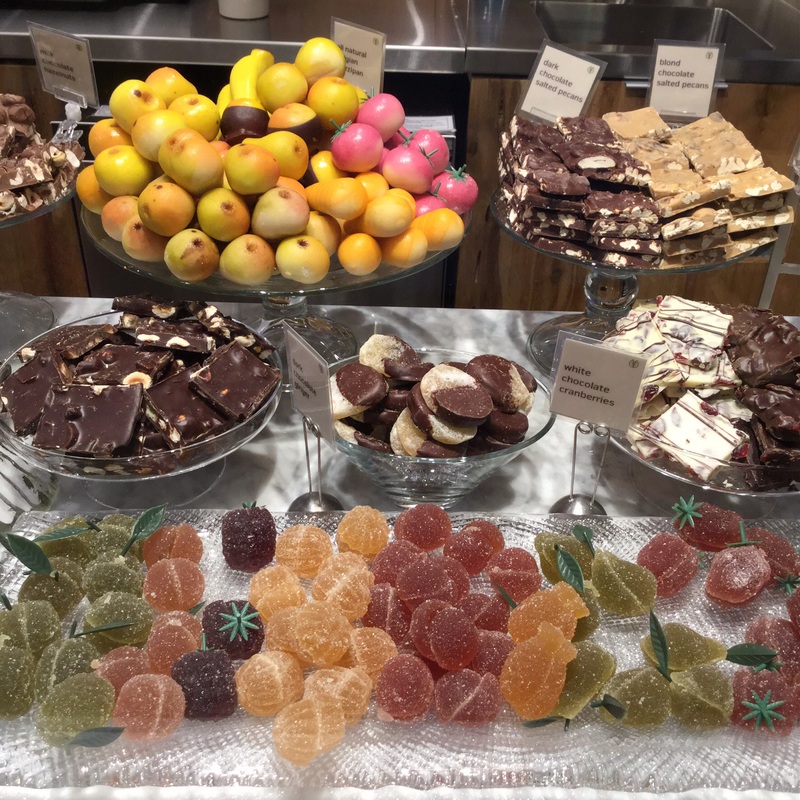 Would Dad prefer crystallized ginger enrobed in dark chocolate, fruit gums bursting with just-picked flavor, or artful marzipan. Yes. Tergiversez no longer! Buy everything. This entry was posted in Shopping and tagged Boston, Charles Street, Fastachi, tergiverser. Bookmark the permalink. Oh, yummy! Perhaps you’d consider being a custom shopper for those of not living in Boston … ?! Which preposition follows “tergiverser”? “tergiverser entre…” ? Merci. Oui! If there are two options, it’s tergerviser entre. If someone’s dithering when there’s just one option, it’s tergerviser sur. I looked for examples of tergerviser parmi for multiple options, but I couldn’t see any examples on line. It makes sense though. Does anyone know for sure?